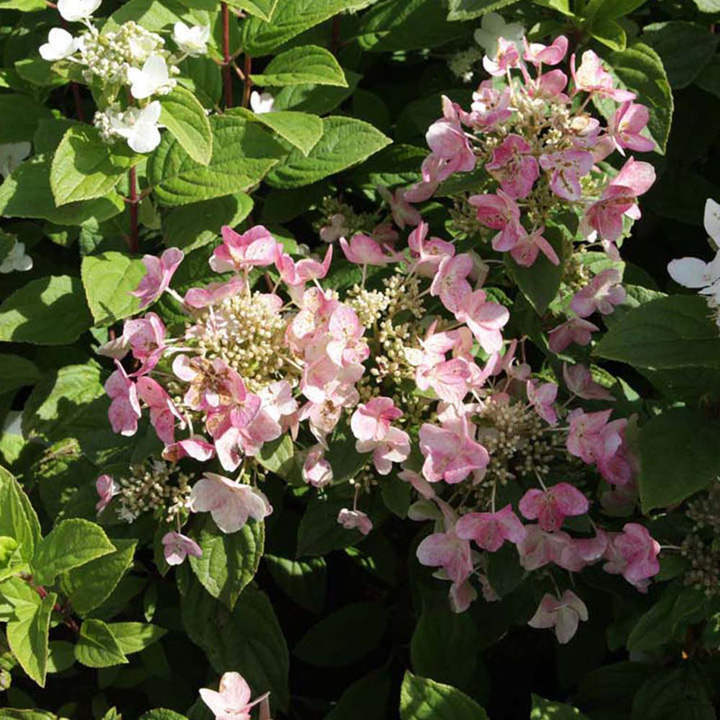 Hydrangea paniculata Dart's Little Dot 'Darlido' is an upright, rounded, deciduous shrub ideal variety for containers as well as borders and shrubberies. 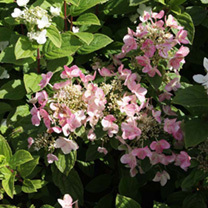 This compact, easy to grow, bush has dark stems bearing ovate, pointed, veined, dark green leaves and, from midsummer into autumn, large, rounded panicles of white flowers turning pink with age and requires little maintenance. Height 90-100cm. Supplied in a 3 litre pot.